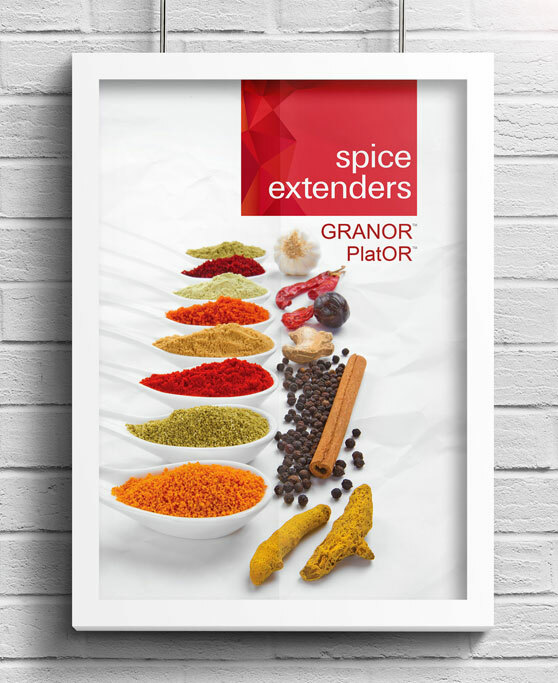 Kancor Ingredients is a leading manufacturer and exporter of Spice Oleoresins, Natural Food Colours, Essential Oils, Mint, and Botanicals. 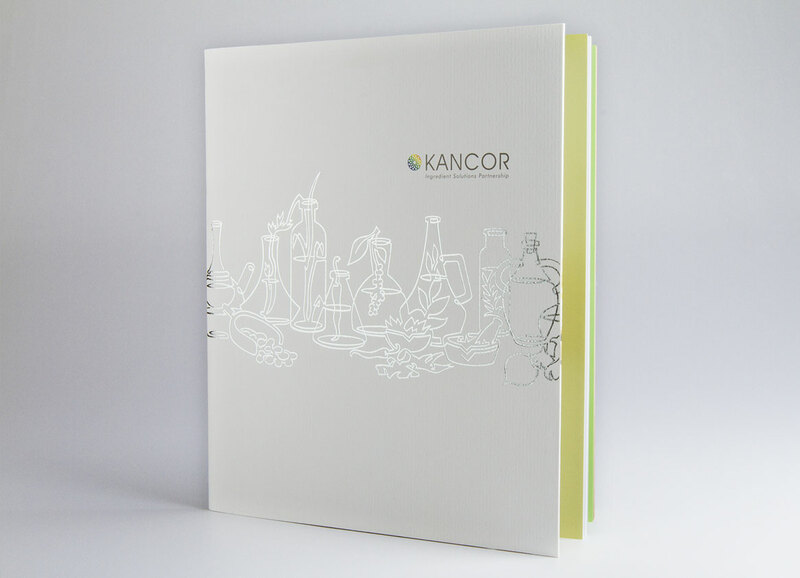 Rooted in the principle of manufacturing natural products, Kancor prides itself on its integrity in using quality ingredients for application in food, healthcare, and personal care products. 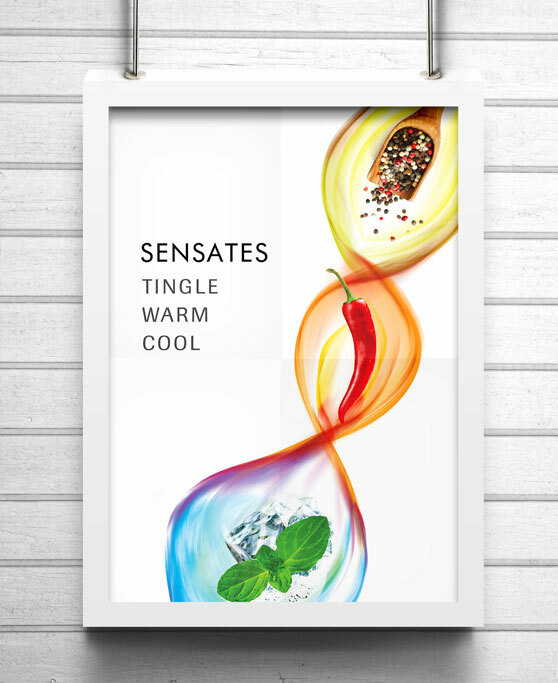 In a nutshell, since 1970, they are in the business of offering, what in industry parlance is known as, ‘ingredient solutions,’ to F&B, (food and beverage), and F&F (flavour and fragrance) companies in over fifty countries. 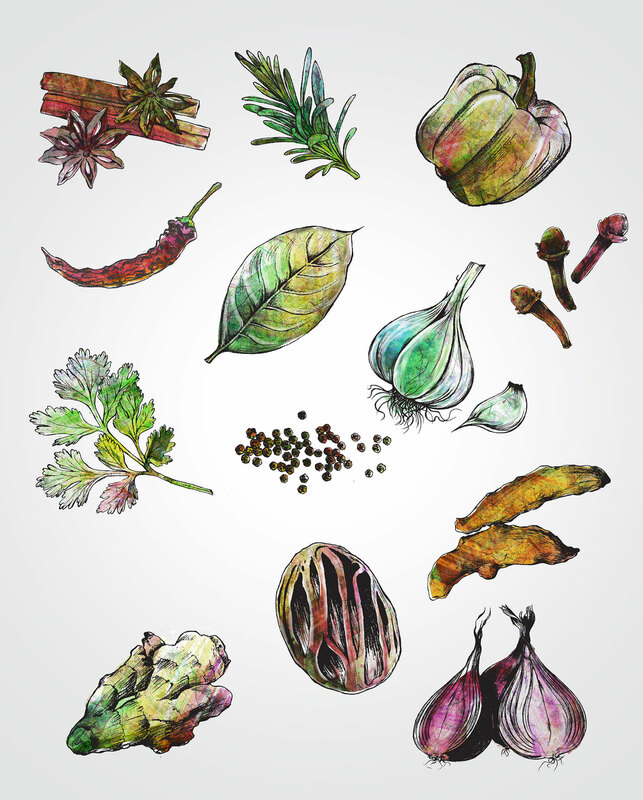 The stylised line drawing on the front cover uses the concept of a single continuous line forming illustrations of various spices in bottles. 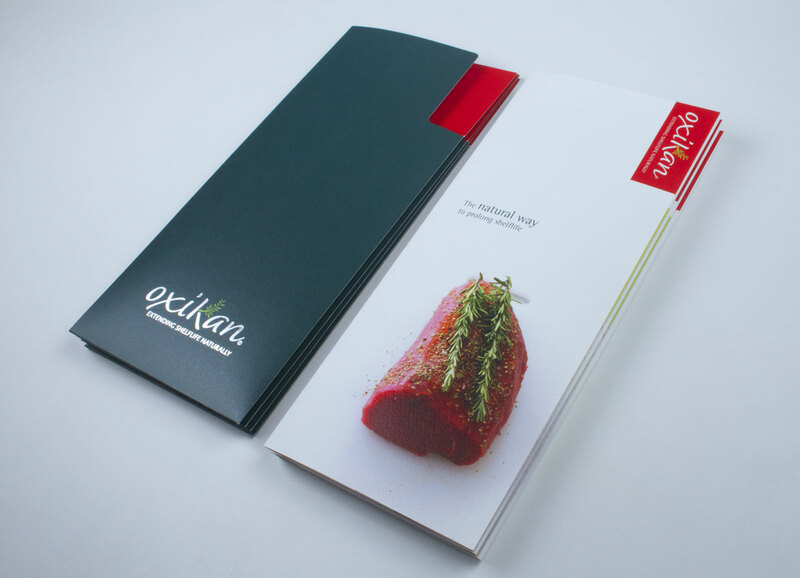 These are further embellished with silver foil for added appeal. 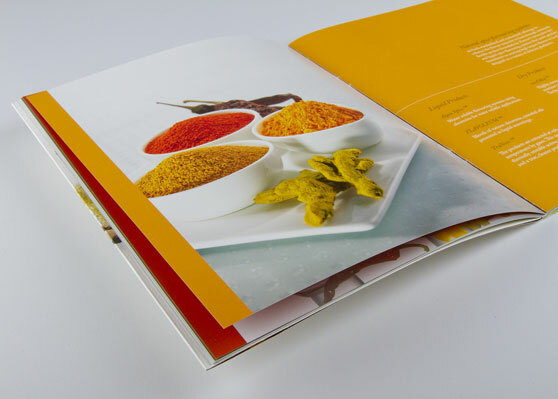 This striking, minimalistic cover opens into a mélange of orange, saffron, and green, characteristic of the vibrant colours of Indian spices. 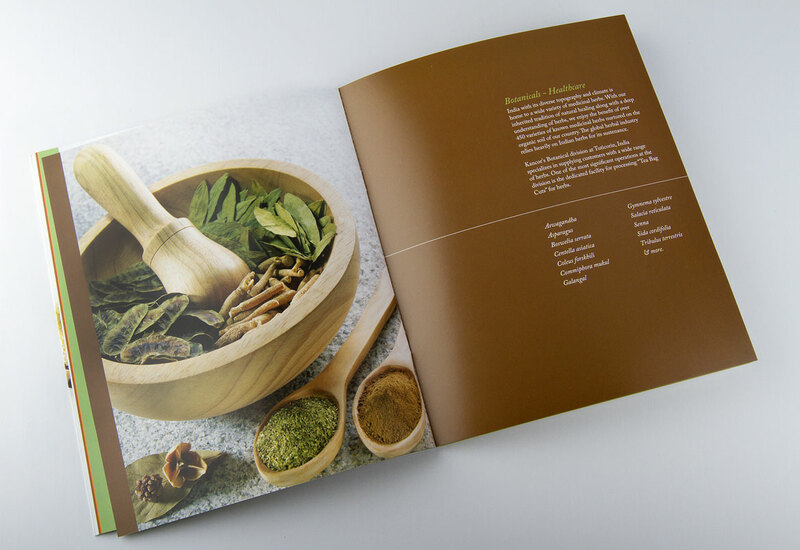 The concept and styling for the product photography was handled in-house. 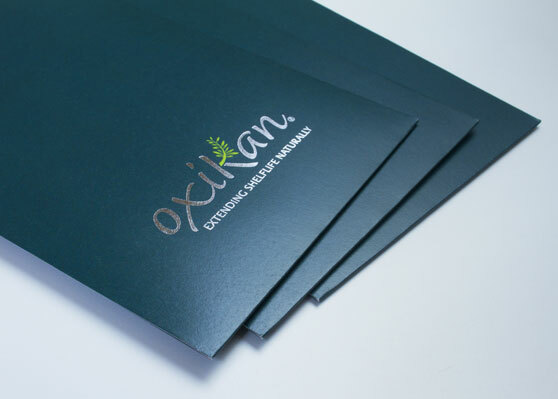 Oxikan, one of their more recent products, is a rosemary extract that serves as a natural preservative. 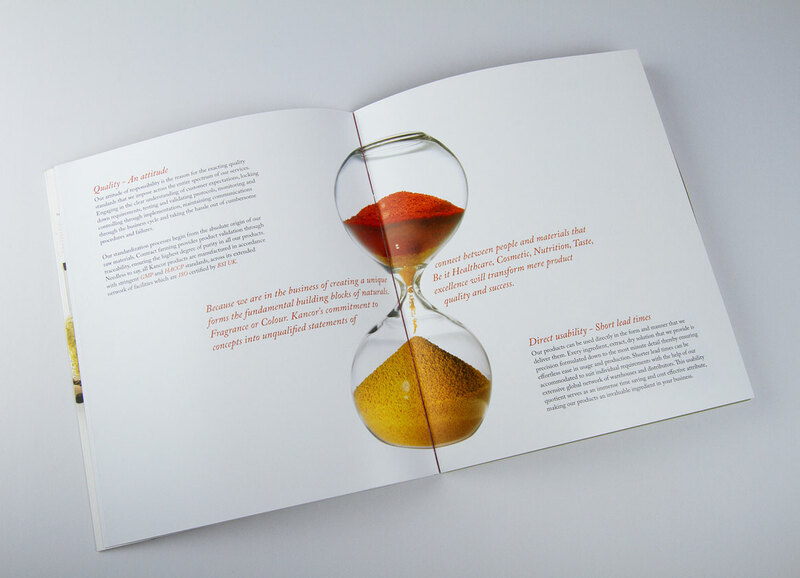 We designed both the brand logo and the product information pamphlet. 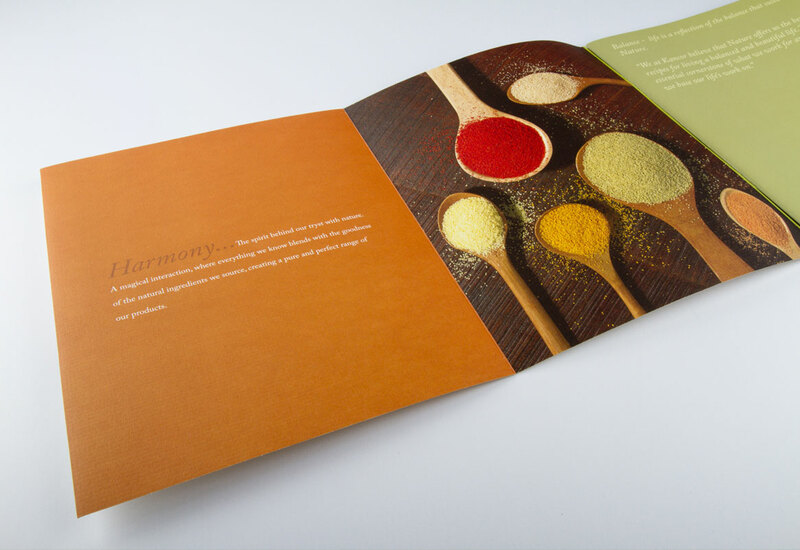 Since most pamphlets tend to invite just a cursory glance, we designed an interesting sleeve for the pamphlet using inviting colours, superior paper stock and foil enhancement. 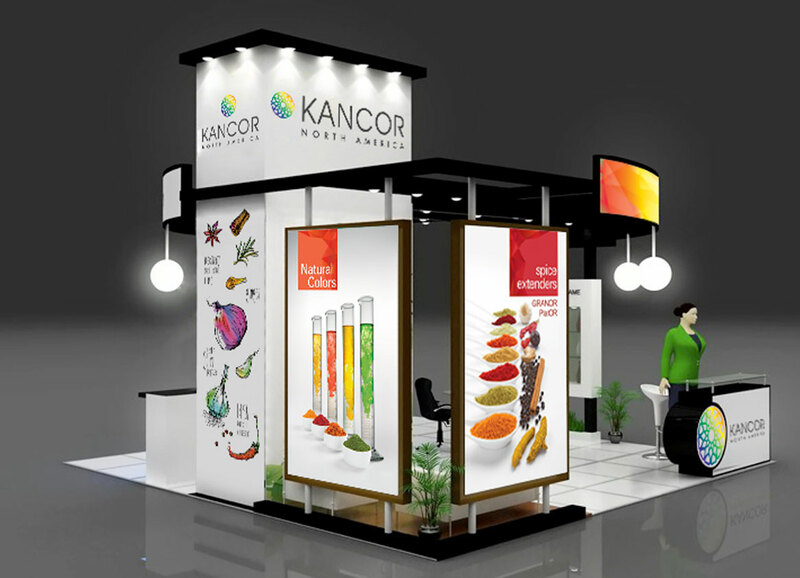 The display booth was designed for an international trade fair in North America. 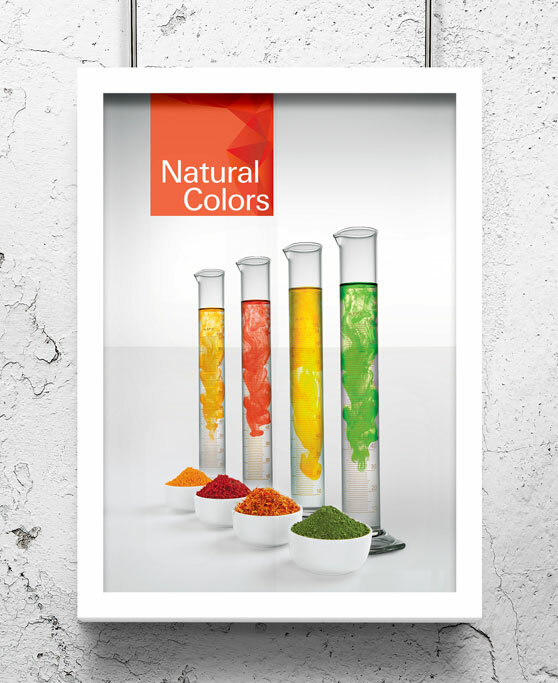 The booth design was minimal and yet effective, and lent itself to the display of visually attractive posters. 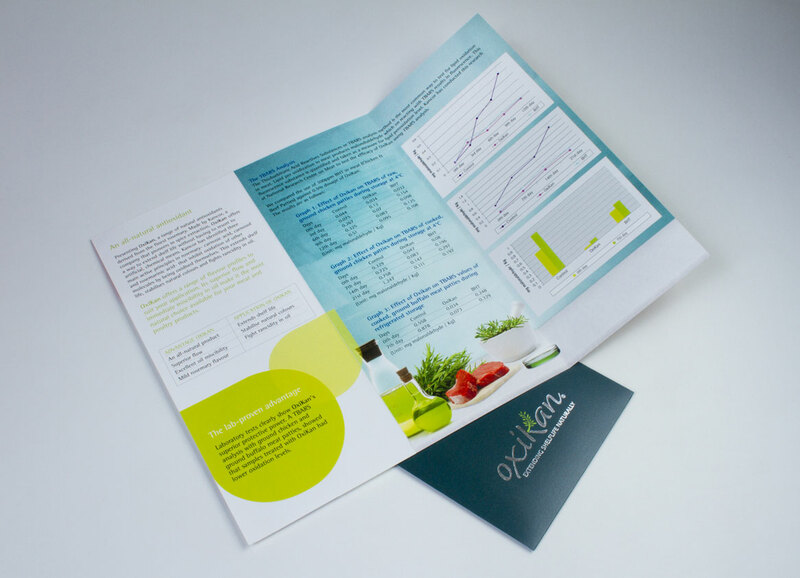 The posters were backlit to elevate the product images for a stronger visual impact. 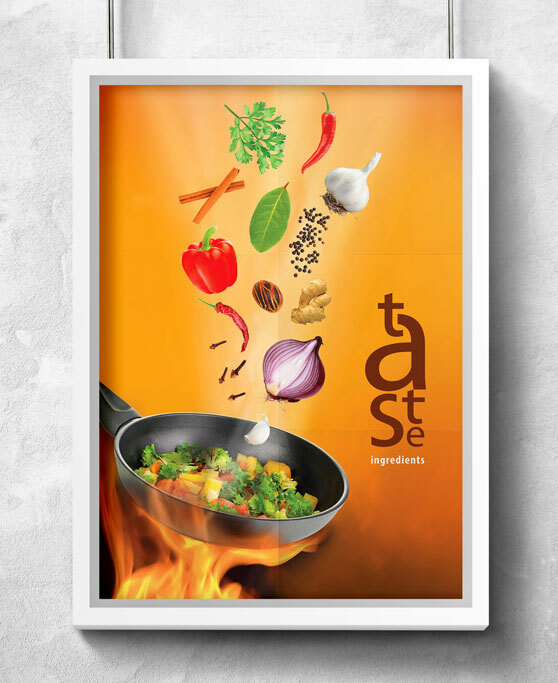 A closer, more detailed view of the posters. 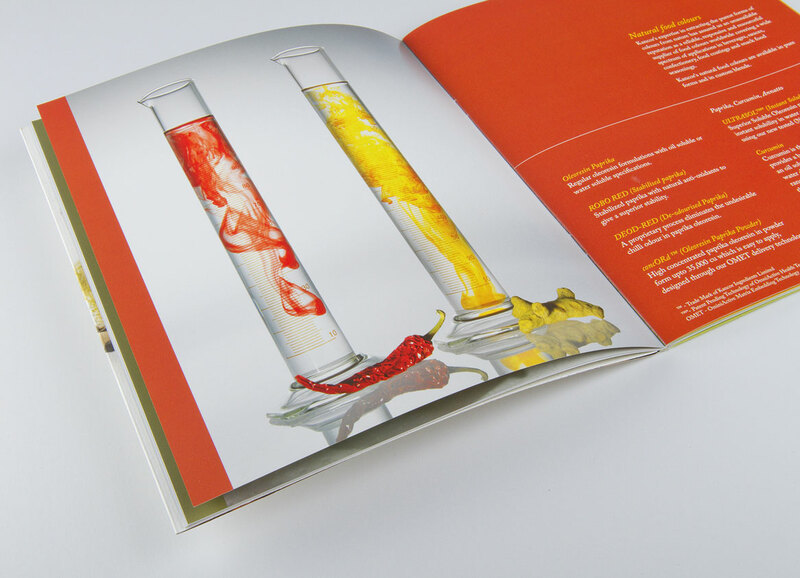 The concept, design and photography where handled in-house. 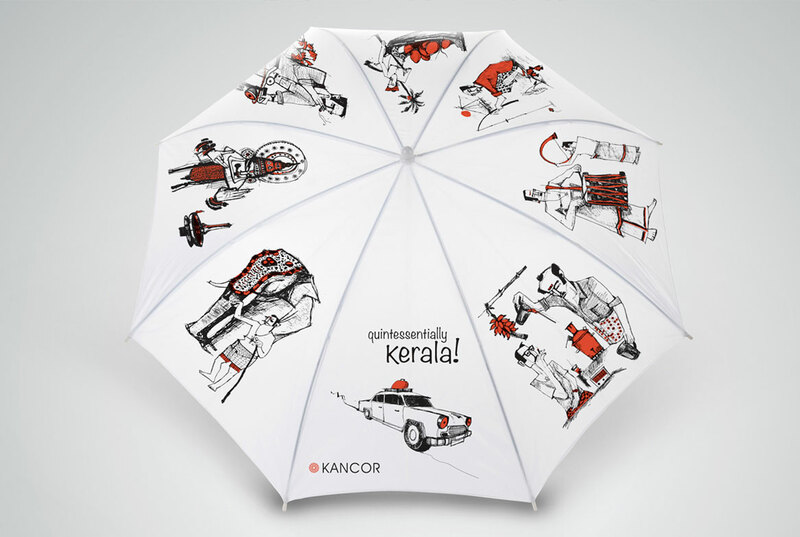 The black, curved handle umbrella is an age-old tradition in Kerala. 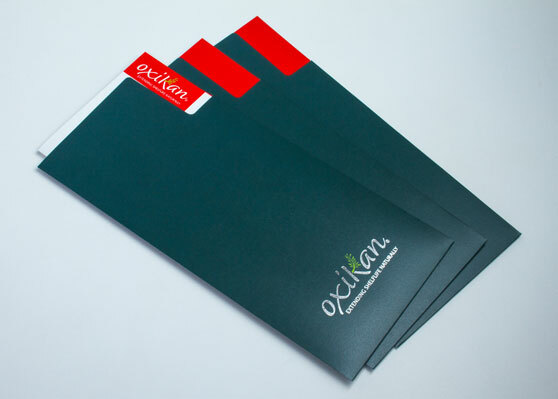 Since the company is based in Angamali, Kerala, we decided to design a trendy, yet quintessentially Kerala umbrella as a corporate gift item for clients. 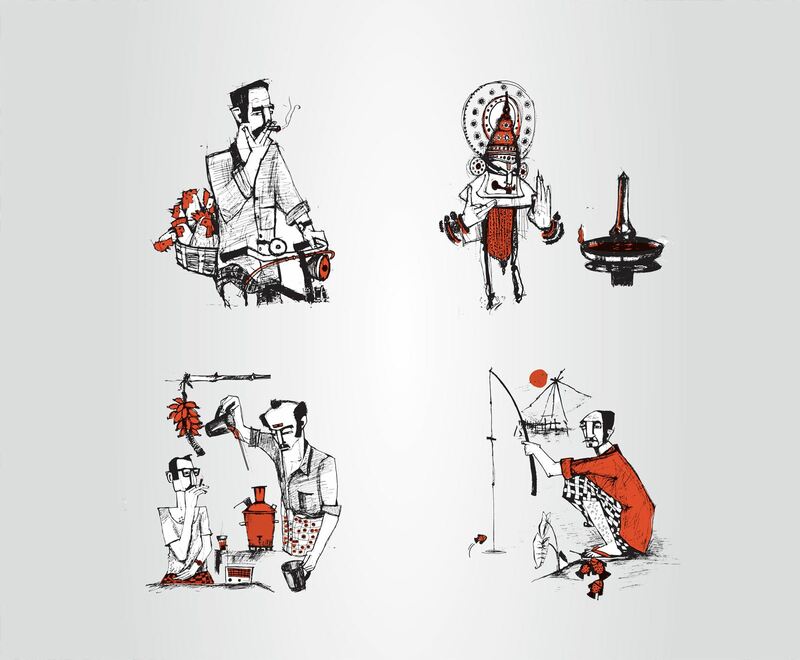 The illustrations reproduced on the umbrella are typical of familiar scenes from everyday life in Kerala, God’s own country.